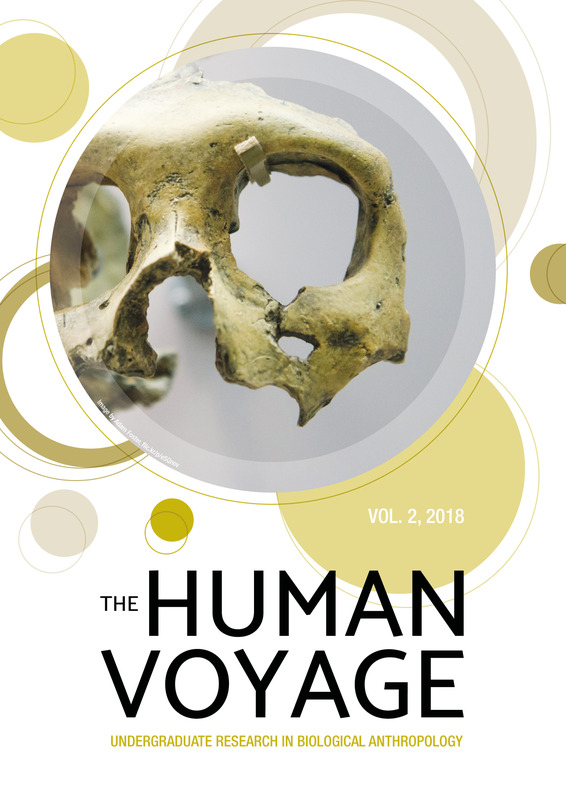 In this issue of The Human Voyage: Undergraduate Research in Biological Anthropology, we have articles on primates, analysis of skeletal remains and ancient human ancestors, and reviews on human behavioural ecology. These articles were selected to be published because of outstanding academic writing and efforts by undergraduate ANU students. Primates: Charlotte Eloise Alley discusses life history traits in lemurs, Grace L Miller assesses taxonomic classification of woolly monkeys and the implications, and James Lachlan Rae describes ecological and social pathways to intelligence. Skeletal remains and ancient ancestors: Anastasia Brandon estimates subadult age-at-death through dentition, Grace Dennis assesses what ancient human bone neoplasms can tell us about current cancer research, Zoe Gavan considers the adaptive paradox in Neanderthals, and Madalyn Grant analyses Skhul-Qafzeh hominin remains. Human behavioural ecology: Vrischica Raj assesses the effects of male power on various mating and parenting behaviours while Jennifer Tinston provides a cross-cultural analysis of how pathogens affect people living in a variety of social organisations. Can examples of ancient human bone neoplasms inform current biomedical bone cancer research?